Horsepower breakfast. 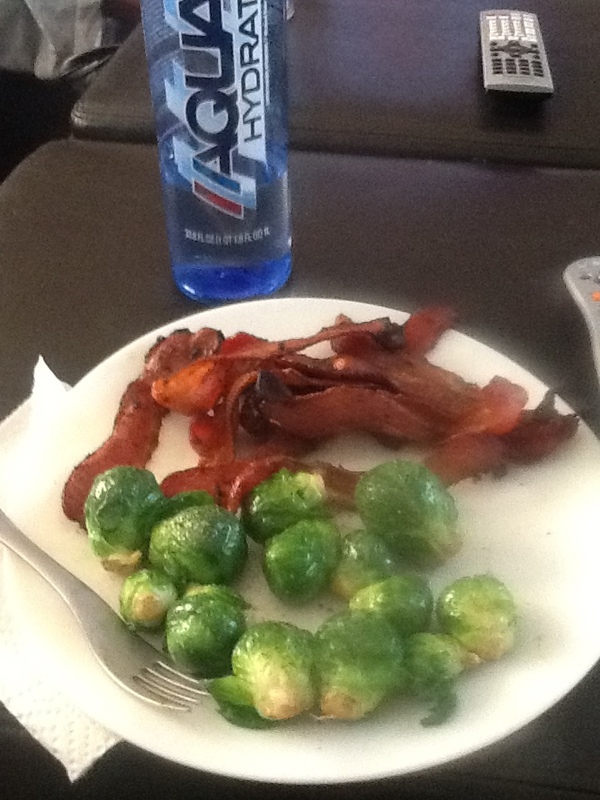 $3.99 for 3/4 pound of uncured bacon, $1.50 for half a bag of brussel sprouts (with grass fed butter, sea salt, and black pepper) and a bottle of alkaline water. More cost effective than eating out, 10 minutes of preparation and more quality, too. Simple. 50 DAYS UNTIL THE NUTRITION CHALLENGE IS OVER!!! Fitness Wave follow up date is confirmed for Friday, October 12th. That marks the end of the challenge. Making jerky requires a food dehydrator and a jerky gun, which can be purchased at stores where cooking products are sold. In a large bowl, thoroughly mix all ingredients. Cover and store in the refrigerator for 1-2 days. Stuff jerky gun with mixture and squirt onto dehydrator trays. Strips would be 2-3 inches long. Set dehydrator on meat setting and dry for 8-10 hours. Check jerky throughout the process to ensure your personal Tate for dryness. *NOTE: Some people prefer to substitute beef or bison roast. Slice it into thin strips, mix thoroughly with spices, and dry in dehydrator. 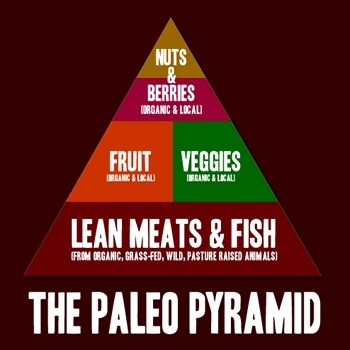 Recipe courtesy of Loren Cordain via “The Paleo Diet Cookbook”. I’d suggest doubling or tripling the recipe to have enough to last a bit longer. Enjoy! *NOTE: SDHP stands for Sumo Deadlift High Pull. Weights are 53/35 for men/women, respectively. I think all CrossFitters should invest in these. You can get away with only having one, but two is better. I use these in my warm up before I do any type of squatting. They work great.